Fact of the day: Human milk has one of the highest levels of lactose among mammals: 7%. Lactose accounts for almost all the carbs in breastmilk and provides 40-50% of the energy in the milk. Lactase is the enzyme naturally produced in the body to convert lactose into simple sugar. This enzyme is prevalent in our bodies at birth but it’s production lessens after age 3. 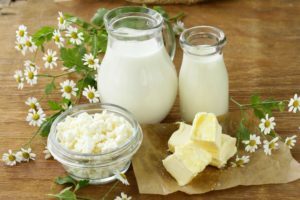 Up to 70% of the world’s adult population has a lactase deficiency, which is indicative of the body maturing and no longer needing human milk as the primary source of nutrition. It is rare for children under 3 to have lactase deficiency, reflecting the biologically normal age for weaning.